My notes on LOST are delayed a week because of the rigors of jury duty. I’ll have more to say on the most recent episode a little after the DC justice system has spit me back out of its crowded maw. First, read DCeiver’s Pompatus of Lost 2.21. Lots more spoilers follow after Mad Eko. So Locke and Eko found “Pearl” Station, supposedly the enigmatic question mark in the middle of the blast door map, and it turns out to be a monitoring station with a view of Swan. Clues point to recent use of the room. I’m glad they used a videotape for the station orientation video this time around; as I hinted in my Dharma and Ba Gua post, there’s no reason a Hanso-funded high-tech collaboration should have been using film reel for a 1980s project when videotapes were already in common use by then. It’s worth pointing out that “Mark Wickman” (a.k.a. “Marvin Candle”) seemed to have use of both of his arms, implying perhaps that the Pearl Orientation may have predated some injury that occured during the “incident” mentioned in the Swan Orientation. 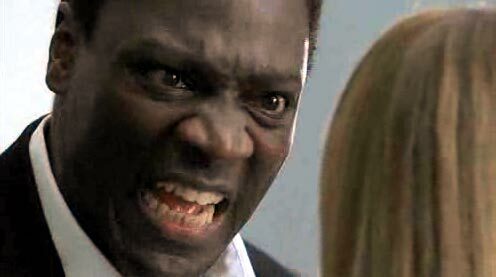 Eko seems to have become the new island mystic to replace Locke. Interesting that supposed proof of a behavioral experiment at Swan has increased Locke’s skepticism, but somehow reinforced Eko’s sense of fate with regard to the Island. I’m still curious as to the meaning of the Numbers, and I’m hoping the plot doesn’t back off from the mystery raised in the first Hurley-centric episode. It’s hard for me to accept that the all the concrete walls and electromagnetism are just Skinner Boxing. The revelation that Claire’s psychic is actually a fraud brings a new twist to the plot. (Those of you who came late to the story may have missed Claire’s flashbacks where she sees a psychic, after the boyfriend who got her pregnant leaves her, and the psychic tells her — against her plans — to never give up the baby for adoption, and later gives her tickets to fly on Oceanic flight #815, which Charlie later theorizes was him conspiring with fate to strand Claire with her baby on the island.) It’s implied, then, that the Hanso/Dharma people could have hooked the psychic up with the tickets to get Claire on the doomed flight so they could get their hands on her. Also, what was all that stuff on the table? Drugs? Speaking of Hanso, All the Hanso viral stuff — Sublymonal and such — is more involved than I want to get, but I’m glad the fans are enjoying themselves. ABC has really struck a chord with the proto-scifi aura of mystery surrounding this show. More from MagicLamp, Lost_TV on LJ, MostlyMuppet, and MCSweetie. 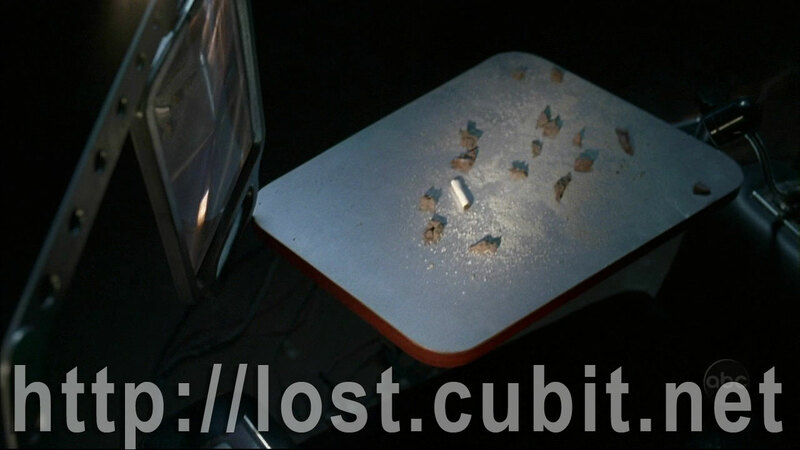 Also see Ausellio on why LOST killed Libby, USA Today’s Bill Keveney, and Ten Things we Want to See on LOST.